International Institute of Information Technology (IIIT), Bhubaneswar has released notification for the eligible candidates to admission in B.Tech Programme for the academic year 2018-19. The objective of its B.Tech programs is to prepare students for two purposes. One is to make them successful in the Industry. The other objective is to provide knowledge and motivation for seeking a career in research. Candidates can check the complete information of IIIT Bhubaneswar B.Tech Admission 2018 application process, eligibility criteria and other information through this page below. 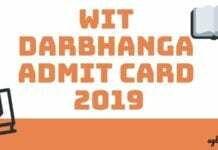 Latest: B.Tech Admission web-based spot admission allotment list for Odisha category candidates and 2nd allotment list for JoSAA/CSAB category candidates have been published. JEE Main ranks published by JEE 2018. Candidates are advised to check all the eligibility conditions before applying for the IIIT Bhubaneswar B.Tech Admission 2018. Schedule for the IIIT Bhubaneswar B.Tech Admission 2018 is given below. IIT Bhubaneswar has released various notifications regarding admissions for B.Tech. programme candidates can visit the official website to check the same, direct links to check all the notifications are also provided below. Click here to check Information on web-based Spot Admission for JoSAA/CSAB category candidates. Click here to Apply Online for Allotment to B.Tech programme for JoSAA/CSAB category candidates. Click here to check information on Web-based Spot Admission for Odisha category candidates. Click here to Apply Online for Allotment to B.Tech programme for Odisha category candidates. 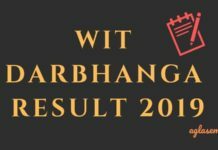 IIIT Bhubaneswar has released the Provisional Allotment list for B.Tech 2018 admission. Only those candidates who submitted their application form within the last date and have successfully verified their documents can check provisional allotment list. Candidates can check the Provisional Allotment through the link provided below by entering their Application ID. Click here to check the web-based spot admission 2nd allotment list for JoSAA/CSAB category candidates. Click here to check the web-based spot admission allotment list for Odisha category candidates. Click here to check the web-based spot admission allotment list for JoSAA/CSAB category candidates. Click here to check List of valid JoSAA/CSAB category candidates considered for web-based spot admission. Click here to check List of valid Odisha category candidates considered for web-based spot admission. Click here to check the B.Tech. Admission Result (Special – III Round). Click here to check the B.Tech. Admission Result (Special – II Round). Click here to check the B.Tech. Admission Result (Special Round). Click Here to check the B.Tech. Admission Result (6th Round). Click here to check the B.Tech. Admission Result (4th Round). Click here to check the B.Tech. Admission Result (2nd Round). Visit the official website of IIIT Bhubaneswar to apply online for the B.Tech. Programmes. Please note that only online application is accepted. The payment details have to be kept ready at the time of filling the online application form since the details of the payment transaction have to be entered in the application form. Candidates can apply for the application form for IIIT Bhubaneswar B.Tech Admission 2018 from the link below. For Admissions through JOSAA2018 / CSAB admissions are purely based on merit list. Register by submitting your email. The 4-digit numeric password will be displayed which can be used as the password on the same site. Login using your email ID as the user ID. Payment can only be made through online. Save / Print your Online Transaction page immediately after online payment for future reference. Fill in the application and click on the submit button at the end of the page.you can edit the form through this Login. 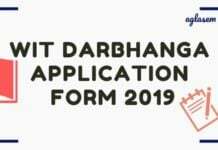 Please submit and commit the form after the result declaration of XII/+2/ Intermediate and after filling up the XII/+2 marks. Please click on the commit button only after completion of all the fields. Once committed the form cannot be edited further. The last date of filling Online application is 7th June 2018. Odisha State Category (“S”) need not send any document by post as they shall be called for document verification before the provisional round-wise allotments. The candidate must secure at least 60% aggregate percentage of marks in +2 Science which is computed as per the formula is given below. 5% relaxation in marks will be given to the candidates belonging to SC/ST category. Note: The eligibility criteria for OTA category students shall be as per the guidelines of JoSAA 2018. 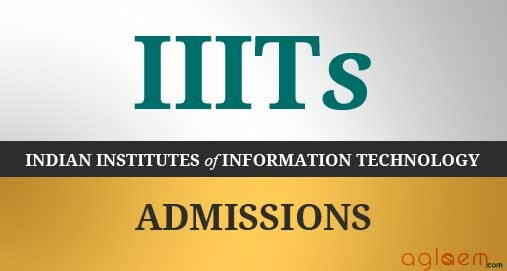 The admission process consists of the following stages: (a) online application, (b) document verification, (c) round-wise online provisional seat allotment, (d) seat acceptance and (e) reporting at the Institute for final admission. The admission for OTA category to regular B.Tech. programmes will be purely based on the merit list generated from JEE Main ranks published by JEE 2018 and counselling shall be done by JoSAA 2018. The Institute reserves 50% of the seats for Odisha State Category (“S”) students. The rest seats are open to all which is termed as Open to All (“OTA”) category. A state category candidate is also eligible for OTA category by default. The admission for seats under OTA category shall be done through JoSAA 2018. The reservation applicable for different subcategories under “S” category like Scheduled Caste, Scheduled Tribe, Physically Challenged, Green Card, ExServiceman etc. shall be as per Govt. of Odisha norms. Apart from these reservations, 5% extra of the sanctioned strength in each branch shall be reserved for candidates belonging to Tuition Fee Waiver scheme under “S” category. Seat intake for candidates seeking Admission through JOSAA2018 / CSAB. Nativity certificate as per Appendix-I (Original) in Information Brochure. Appendix-VI (Original) in Information Brochrue. Income certificate for TFW candidates as per Appendix-III (Original) in Information Brochure. SC/ST certificate for SC/ST candidates as per Appendix-II (Original) in Information Brochure. In Information Brochure Appendix-V (Original) for ES category candidate. Certificate of Disability issued by Competent Authority of Govt. of Odisha not below the Rank of CDMO for PC category candidate. Note: Original certificates/mark sheets except Appendices shall be returned to the candidates after verification. The Institute reserves the right to change the fee structure if required. The fees above do not include other expenses such as mess meal charges, stationery, supplies, travel, notebook PC etc. which are to be borne by individual students.